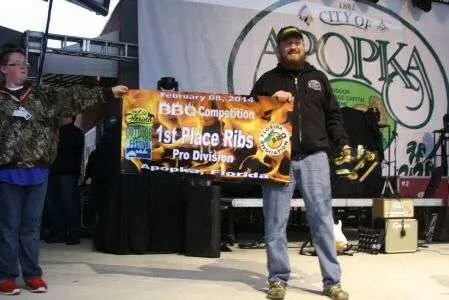 I was fortunate to be invited to talk about all things Swamp Boys with Darryll Mast of BBQSuperstars.com at the Apopka contest on Feb.8, 2014. Swamp Boys interview for PGTV at Smoke on the Water ’14. Jan. 24-25 and Jan. 31- Feb.1 were both big weekends for the Swamp Boys team. 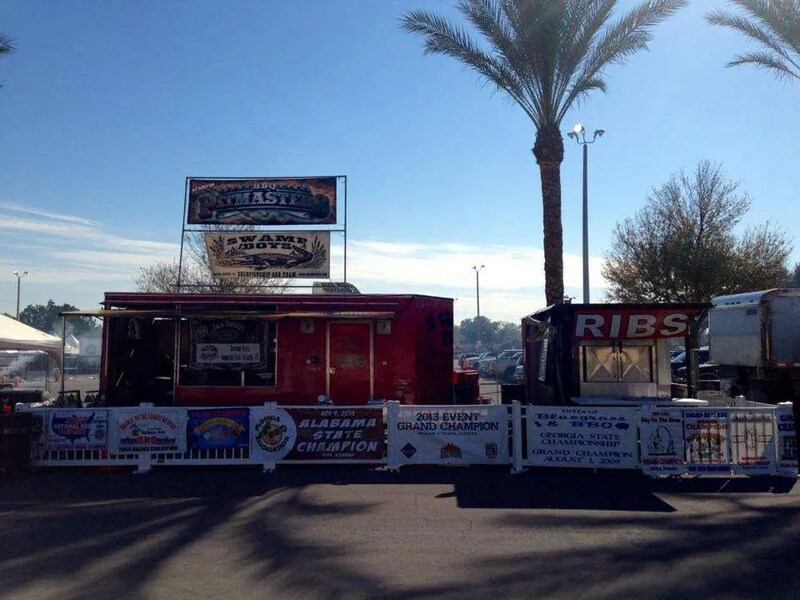 The first weekend is the KCBS Lakeland Pig Fest which drew in 69 top teams, many from out of state. Our big motivation at Pig Fest is the vending. This contest not only draws a lot of teams, but it also brings in the public. The crowd estimates are usually in the 30,000 range and they come ready to eat. We cooked and sold a record amount of food for us. I was really proud of my crew, they always give it all they’ve got to make sure each customer gets our best product and service. Our best call in the 69 team field was a 5th place pork. We came in 16th overall which is respectable for a team that is also vending. The following weekend was our home-town contest, Winter Haven’s Smoke on the Water. This too is a huge vending weekend for us. The plan was to sell slightly more than we did in Lakeland, and despite a rainy start we managed to pull it off. Once again super proud of my crew who sold more food in less time than the record the week before. The work is tough and the fun is big. It’s a good way to let off some steam from our daily real jobs. This contest drew in 58 Pro teams, including Myron Mixon (BBQ Pitmasters Judge) and Jack’s Old South. Myron pulled in a couple of more ringers from the show, Cool Smoke’s Tuffy Stone, and even Johnny Trig was reported to have been there. We managed to pull off a 7th overall, with a 3rd place chicken and 10th place pork being our calls. A top 10 finish when vending is a good day in my book so we’ll take it. 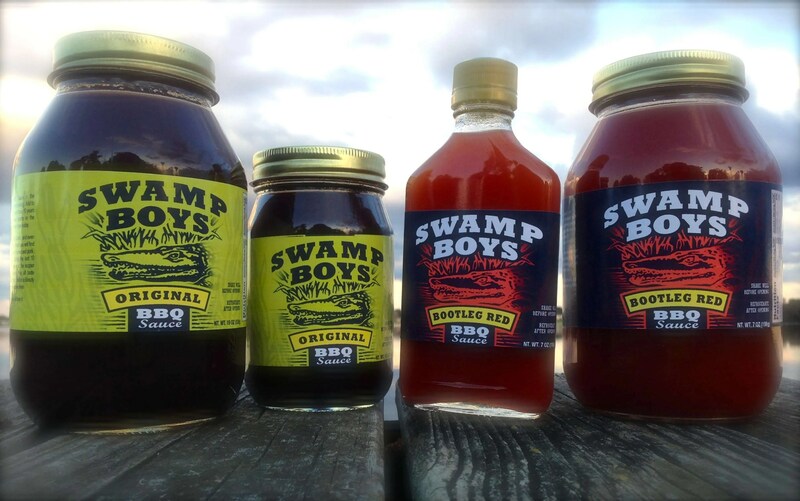 We also launched our 2 new sauces, Swamp Boys Original and Bootleg Red with lots of GREAT feedback. You can buy these sauces, along with team t-shirts and visors by visiting our store here. A big thank you goes out to the Swamp Boys Nation that came out both weekends in full force to help support us and these charities. With your efforts we were able to give over $3,000 to the charities for the 2 weekends!